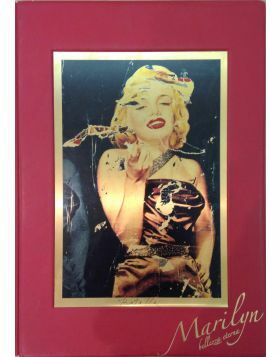 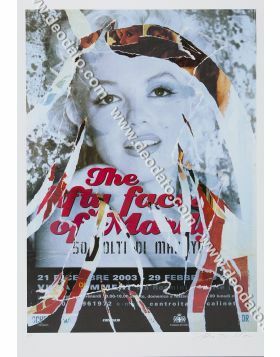 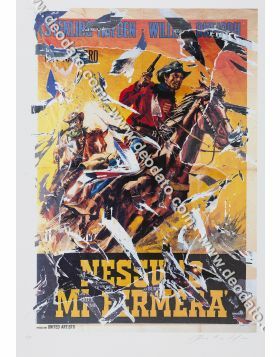 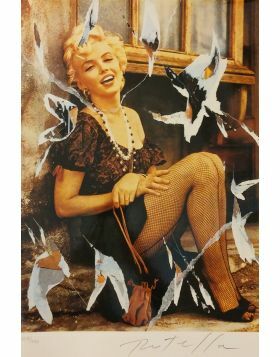 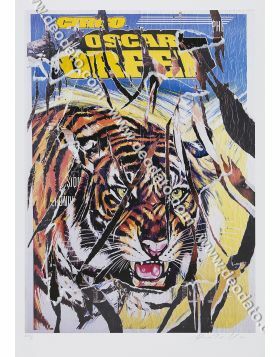 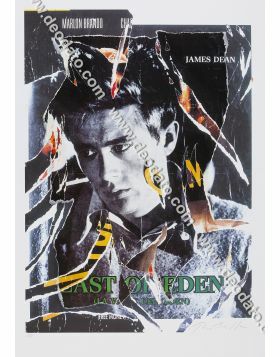 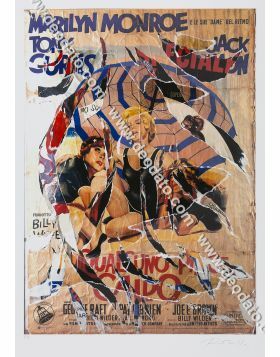 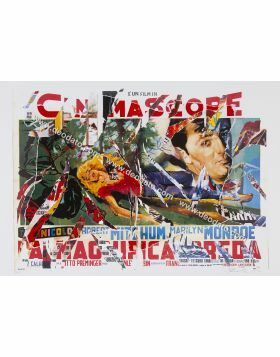 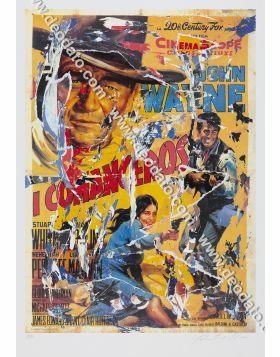 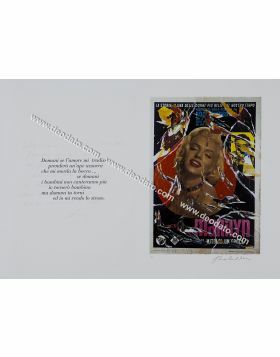 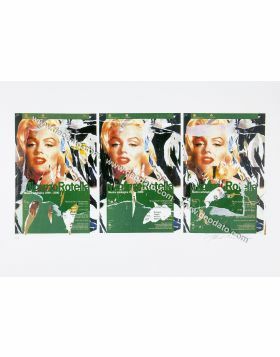 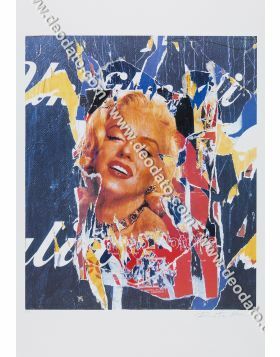 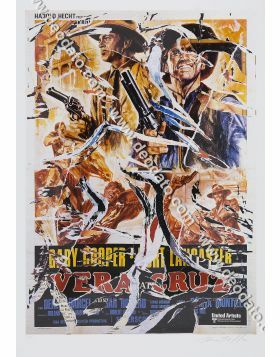 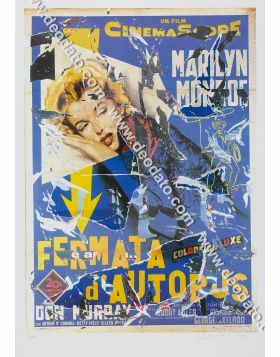 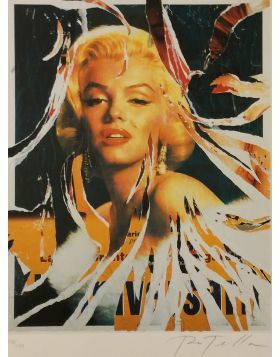 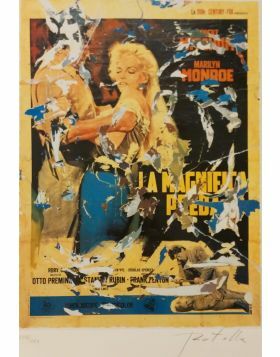 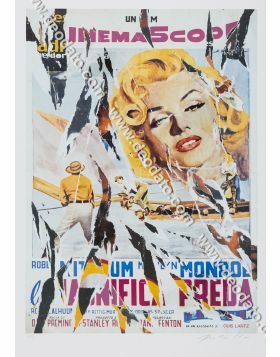 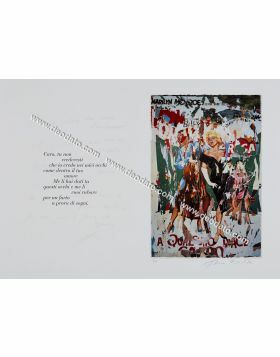 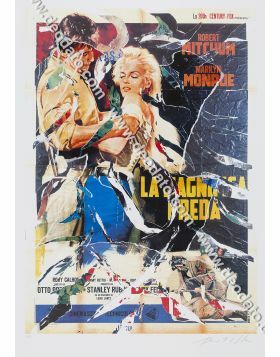 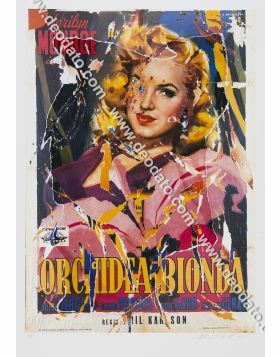 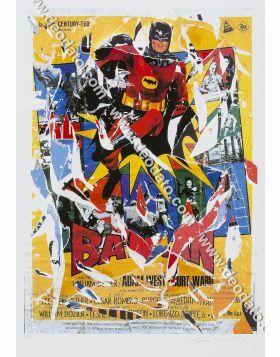 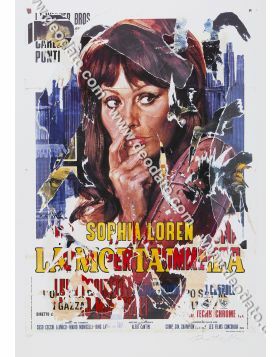 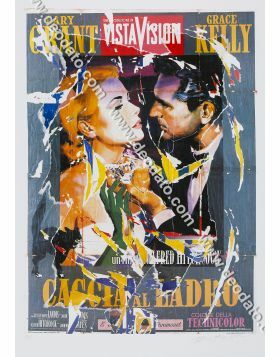 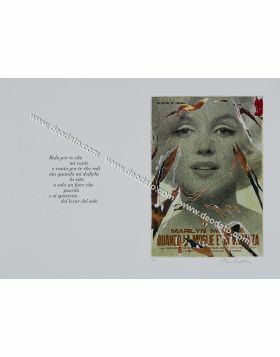 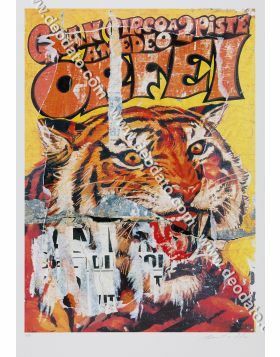 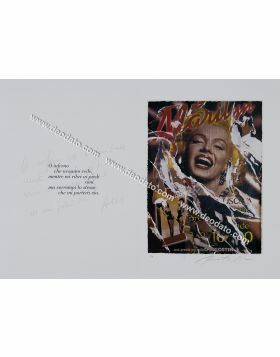 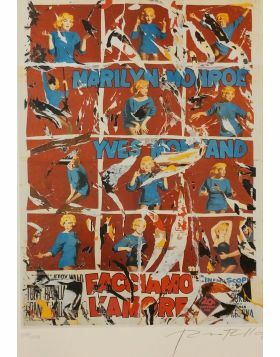 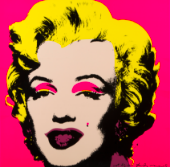 This is a SeriDécollage by Mimmo Rotella, based on the poster film of Girl Happy with Elvis. 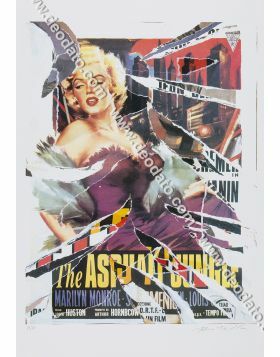 SeriDécollage with handmade rips inspired to the poster of the film Girl Happy, amusing musical comedy interpreted by Elvis Presley in the 1965. 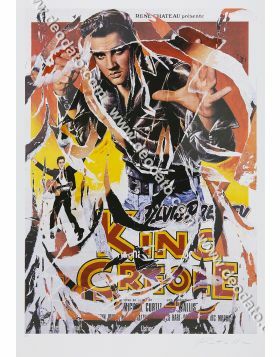 A love story in what was the last great success for Elvis Presley. 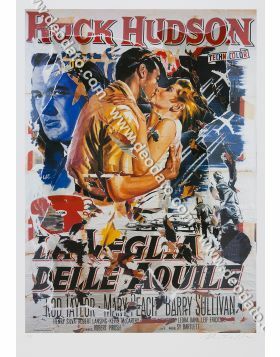 A simple and funny plot, set in a seaside resort with charismatic characters. 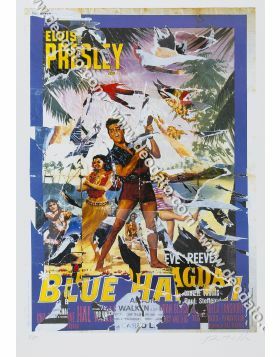 Rusty Wells (Elvis) and his gang accept to watch over on the daughter of the owner of the place in which they play for the summer vacations. 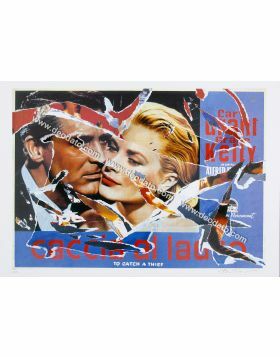 Among the two the love will burst. 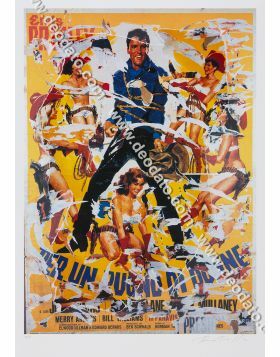 The impeccable sonorous column, with well twelve songs interpreted by the King of the Rock 'n Roll, makes the film more pleasant. 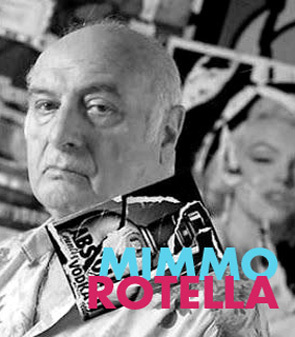 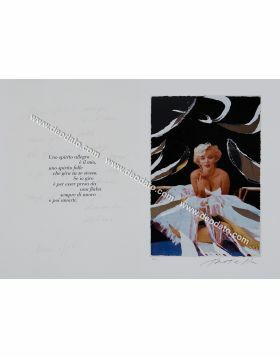 Nota FIRMA DALL'ARTISTA in basso a destra. 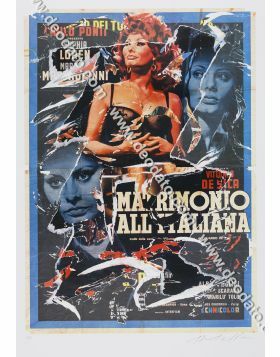 PUBBLICATO sul Catalogo di Elena Pontiggia, pag 20.